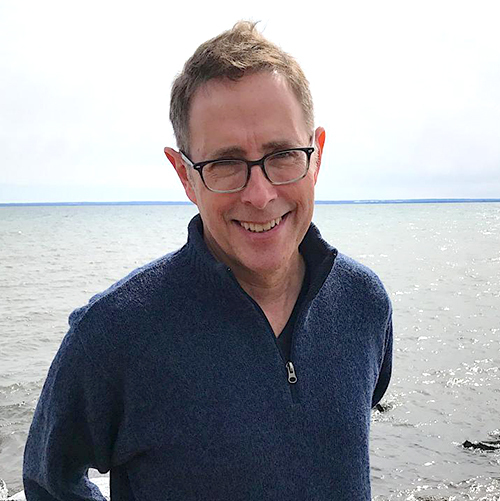 Chart-topping novelist Leif Enger burst onto the literary scene in 2001 with Peace Like a River – one of this century’s few fiction debuts to sell a million copies. Set in northern Minnesota in the 1960s, audiences fell in love with Peace Like a River’s arcadian small town setting and 12-year-old protagonist Reuben ‘Rube’ Land – a young narrator every bit as memorable as Huck Finn or ‘Scout’ Finch. Enger’s follow-ups to date include So Brave, Young and Handsome, a classic Western with a Minnesota spin. Along with older brother Lin (and under the apropos pen name L.L. Enger), he also penned an Edgar Award nominated mystery series about a retired baseball all-star and his less-than-restful retirement in the Northwoods. Enger’s newest, Virgil Wander, centers on a small industrial town past its prime, and the band of residents who love it fiercely. The Wall Street Journal raved: “Virgil Wander brings out the charm and downright strangeness of the defiantly normal.” Since its publication in October 2018, this newest addition to the Enger corpus has garnered a host of honors, including being named a #1 Indie Next List Pick. This event is hosted by the Carver County Library. Listen to a podcast of Leif Enger’s Club Book discussion!